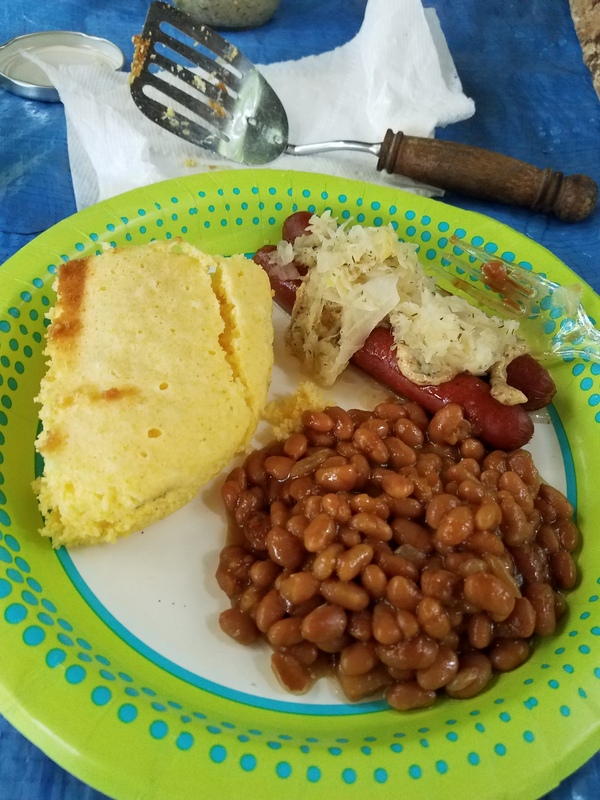 Camping | Robert Mitchell Jr.
Dinner Saturday night: Jiffy cornbread, Nathan’s all beef hot-dogs with Saverne sauerkraut with dill, and Bush’s baked beans. Heaven on a plate. My adult son and I went camping at the Peaks of Otter this past weekend. Here are some pics. I took only a few because I had the phone off most the trip. And, as often happens, when I ditch the tech and get out in the woods I start seeing things more clearly. Camping never fails to teach me something. If you’d like more details, check out this rare public post on my Patreon blog. 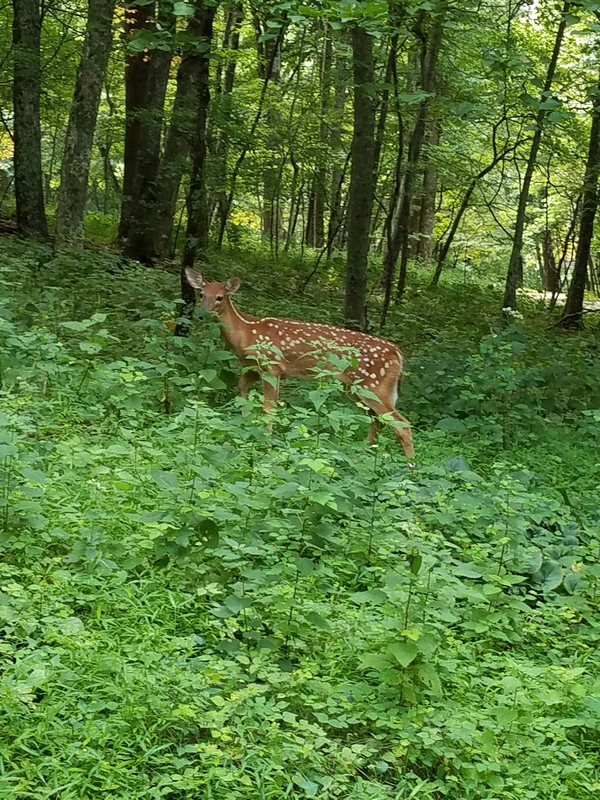 A fawn still showing spots. Mommy was just off frame to the right. 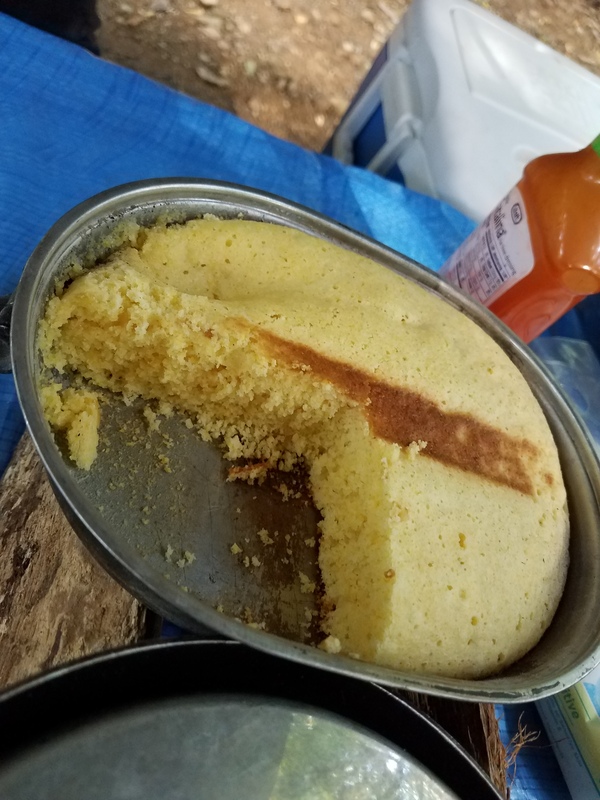 Perfect cornbread — hot, moist, and not sticking — cooked in a vintage M-1942 US Army mess kit. Camp with me sometime and I’ll show you how it’s done. 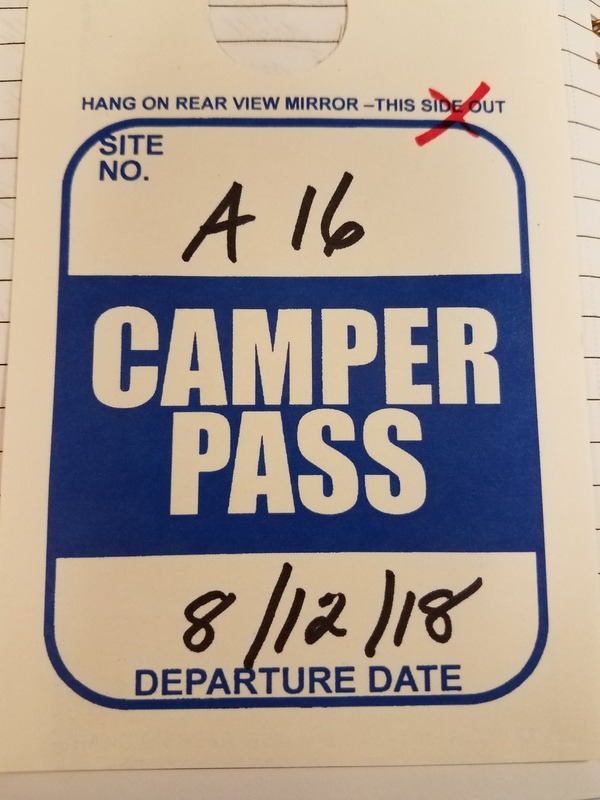 Our parking pass from Peaks of Otter Campground. 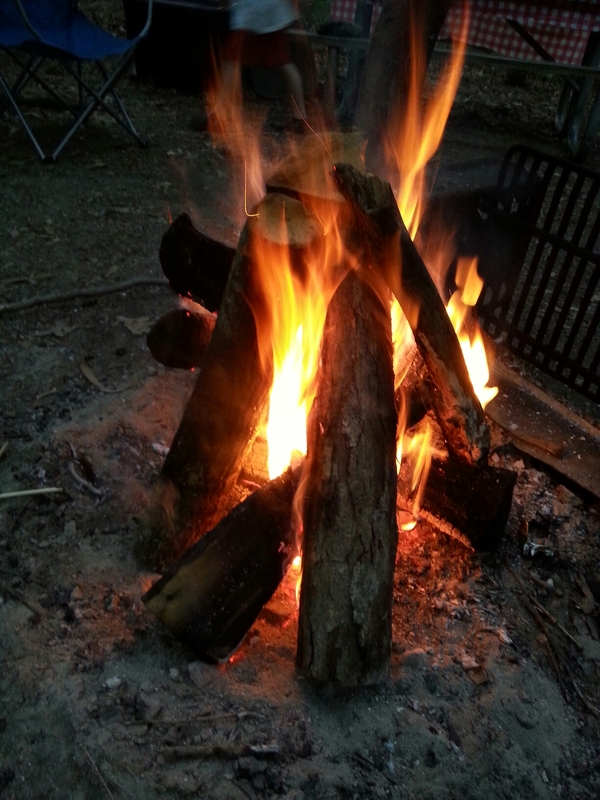 Camping. Eat some food, sing some songs, share some stories. Sleep when you’re sleepy, get up when you’re rested (and not a minute sooner). S’mores. Fire. Crickets.